It's how most people introduce me. Some have asked if that bothers me. I lean toward taking it as a compliment. Yes, I am my own person and have my own identity. However, I learned long ago that my true identity is found in Christ, and Christ has called me to be a helpmate to this husband of mine, who happens to be a pastor. It is an honor to serve alongside him and my privilege to be associated with him. Over the years, I've received questions and comments like these: "What's it like to be a pastor's wife? How do you do it all ... kids, a husband, the pastor's wife? I could never do that!" How do I do it? By God's sheer grace. I've only been doing this for (almost) nine years. While I certainly haven't mastered it, the Lord has definitely taught me a lot along the way. It is such a blessing that it's almost embarrassing to share the more difficult parts with you, because in no way do I want anyone to walk away with the impression that it's more a burden than a blessing. That said, there are indeed difficulties that come with the territory, so I'll give you the whole picture you're asking for. I didn't marry a pastor; I married a construction worker. It was about eight years later that we entered into full-time ministry. I'll pick it up at the point where my husband finally submitted to the Lord and told me, "I feel like we are supposed to plant a church." 1. Ok, great! I'm in. 2. Oooh, that means I'll be the pastor's wife. 3. Oooooh, that means our kids will be pastor's kids. So naturally, I contacted a few pastor's wives I knew, and googled "pastor's wives' articles." You'd want to scream at the redundancy of it because they all. Say. The. Same. Thing! I found it interesting, though. I also found it scary. If they were all saying the same thing, I'd better sit up and pay attention. And what I was hearing was enough to make the hair on my arms stand up. The expectations. The loneliness. The pastor's kids. The struggle to guard family time. The pay cut. The insecurities. The criticism (of husband and yourself). The fishbowl. And more. While most trials are common to all pastors' wives, there are some variations depending on a few factors. 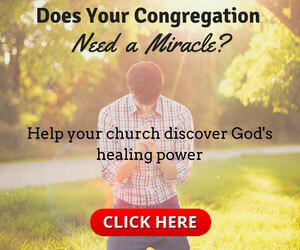 Do you have a small congregation or a megachurch? Are you a church planter, or did you step in to an established church? Do you primarily serve your local congregation, or does your husband also write and speak, being known nationally? I would soon find out what all of that meant and what came along with it. Seemed the Lord had the wrong girl, if you asked me. Then it hit me, as if someone had aimed a bow and arrow right at my heart and hit it dead-on: "Oh dear! The very person in the church I'd been guilty of judging from time to time—those are the very shoes I'll be walking in now." Well if that wasn't sobering. I had to repent, actually. Then hide under the covers and plead with the Lord to protect me from the exact judgment I'd dished out at times. Oh, the irony. I didn't feel like your typical pastor's wife, by the way. I can't tell you how many times I've thought, "These poor people, they're stuck with me." I've got a past that would make anyone wonder why He chose me for this role. I can't cook. I can't sing. I don't play the piano; I don't have the gift of teaching; and I'm not a great hostess (thinking No. 1 has something to do with that). Don't you need all (or at least one, for heaven's sake!) of those elements to take on this position? In a nutshell, I was terrified. But at the same time, I'd seen the beauty in ministry. I'd seen the amazing ways God moved. I had stood in awe of how Jesus showed up time after time in ways only He could. So, while terrified, I was also hopeful and excited for the new season. It's been such a journey! There has been heartache deeper than I could have ever imagined. And joy more abundant than I ever knew was possible. We have gone on adventures I'd previously only dreamed of and have had some of the most mundane of days in between. We have seen things I could have gone a lifetime without seeing, and we have seen things that we are forever grateful the Lord allowed us to have a front-row seat to watch. We serve one of the most amazing group of people you'll ever meet. It is truly an honor. And we have certainly made plenty of mistakes. Anything good that has come from this ministry is by the pure grace of God. We owe all to Him. To be honest, I wasn't sure how to approach this post. It's been saved it my drafts for months. There are so many directions one could take this topic. I could write a whole book. (Hmmm, maybe one day.) I figure if I'm ever going to post it, I'd better just get 'er done. I decided to touch on a few of the main points I get asked about and send it off to you. I can honestly say I've put more expectations on myself than I have ever felt from our congregation. It's been rare that I've heard hurtful words or seen hurtful looks aimed at me. Sure, I've turned a corner or two and knew why "they" stopped talking. And from time to time, I've gotten the sense that someone was disappointed with me, that I let down their idea of what I should be or should be doing; but overall, either people are really good at hiding their disappointment or they truly accept me for who I am and what I am able to offer at this season in our ministry. It's tough. I'd love to be all things to all people, but we know that's not practical for any of us. In the beginning, I so wanted to be at every function, able to meet with everyone who needed it, attend everything I was invited to and more. It took some time to learn not only is that impossible, but it would also be unhealthy. The ministry the Lord has called me to first is to my husband and my children. If I get that out of order, I won't be any good to anyone and will end up with a family who resents the church. This can be twofold. Some struggle with loneliness because their husband may have incorrectly prioritized his time. It can easily happen when you have so many demands on you. In nine years, I can count on both hands the instances where I felt my husband put the church first. In other words, it really hasn't been that often. The other aspect of loneliness in ministry, and what I struggle with more, is in the area of close friendships. It's a lonely calling; it just is. You want to have close friends within your congregation, but it's a weird dynamic. You can't open up with most because your husband is their pastor. It just gets interesting, that's all. It can also feel lonely because others can't relate to the struggles you face as a pastor's wife unless they've been there. You learn very early on you dare not get too close to too many people. I know; just saying it makes me cringe. It sounds awful. But believe it or not, there are those who do not have good intentions, who aim to get close for their own personal gain, not to truly gain a friend. And the byproduct is hurt. It can also be backbiting, gossip and the like. Because of that, over the years, the temptation has been to not let anyone in. Honestly, I've given in to that temptation on a few occasions, but the Lord did not allow me to stay there for long. We aren't meant to build walls. Boundaries? Yes. A little guardrail for protection? Yes. But not full-on cinderblock walls. You know as well as I do—the walls we build to protect ourselves end up imprisoning us. It can also get tricky when you've made friends with a staff member. Lines get blurred. It's a rock and a hard spot when you must take off the friend hat and address them from an employer stance. I'm telling you,, there are parts of ministry I wish I could full on run from, and this is one of them. This section ended up going on and on, so I'll release it as a part 2. Stay tuned! It would be weird to me to talk about being a pastor's wife without talking a little about the pastor I'm married to. At one of our 6 a.m. worship services, I was singing and praying with my head down, but when I looked up, I saw Shane up front, both hands lifted high toward heaven. And as I scanned the room, I saw countless others doing the same. Or kneeling. Or sitting with heads in their hands- all drawing close to Jesus in their own way. My heart just about burst open at the seams! Then and there I thought, He has no idea what a good pastor he is. I know he always strives to do better, and he has not perfected it, but I'll tell you, he will die trying. He is creating for us an atmosphere where we want more of Jesus. He is calling us to a deeper relationship with our Lord. He leads by example. Many see this on Sundays and Wednesdays, but there are so many things behind the scenes that I'm privileged to witness. I have also seen the failures, the defeat, the hurt, the disappointment. The faults, the blind spots, the deficiencies. He is a work in progress like the rest of us. But he will go to his grave aiming to love Jesus more and more, and point people to do the same. Please don't misunderstand, I'm not saying he has no room for growth. In fact, we both welcome constructive criticism from those whose hearts are pure and truly seek to help. Thank God for that; it's how we all learn and grow. It's needed and necessary. What I'm talking about is the person who thinks they have the "gift of criticism" (good catch—you're right; there's no such gift). The one who looks for every little thing they can find. The one whose intentions aren't pure, and whose motives are not of the Lord. It truly does make the encouragement that much sweeter, though, and thankfully we get 10 times more of that. But I've learned to be thankful for the criticism, even the downright rude things some throw at us, because we all need to stay humble. It's good we don't only hear praises. I didn't say it's easy, but I recognize that it's helpful in keeping me close to Christ. So, shoutout to our haters—thank you! Then there's the fishbowl. Oh, the fishbowl. I'm learning to embrace it and swim around confidently in it. But most days, I feel like a fish out of water. I remember the days I didn't have people watching so closely. (I think as Christians, to some extent we all have people watching.) But living it all day, every day can be—interesting. —Why isn't she doing more? —Oh, she has her nails done? —Is she teaching Bible study? —Why didn't she say hi to me? —How does she discipline her kids? —How often is she on social media? Interruption here, I am not saying I think I'm the center of everyone's attention, puh-lease! I really hope that's not your takeaway from that little paragraph. But I am saying people watch, and sometimes judge, and sometimes comment—mostly to others, which would be called gossip where I come from. One thing that I've had to work through over the years is that you want to be "real." Your congregation needs to know you, know you care, know you're just a person in the lifeboat like the rest of them. No one wants a fake pastor's wife. (Good thing, because I couldn't fake anything if I tried!) However, I've found there's a twist: If you're too real, they lose respect for you as their pastor's wife. They want to know you're relate-able, as long as that doesn't mean you have too many flaws. If you try to walk that line of wanting to impress and appear more holy than you are, people will see right through it, and you end up falling off the tightrope. I've come to the conclusion that, you got me, and I got you. Yes, I have flaws (quite a few). Yes, you have flaws as well. Yes, we are both working out our salvation and being sanctified daily. Yes, there are women in our congregation who have been walking with the Lord much longer than I and have more wisdom than I do. Though that used to intimidate me, I've since learned to embrace it. It's only pride that says, "I have it all figured out, I don't need counsel from anyone." I'm so thankful for older women who have the wisdom to appreciate where the Lord has brought me, yet pray for me to go deeper. Yes, I am called to a high standard as a pastor's wife, but you are also called to that high standard as a Christian. Let's encourage each other to grow in Christ and show grace when it's needed. I could go on and on, but I'll wrap it up with this. With all its ups and downs—the good, the bad, and the ugly; the blessings and the pain, there's nothing I'd rather be doing and no other cause I'd rather give my life to than to serve as a pastor's wife. To see souls saved, chains broken, people set free, children having that "aha" moment, families restored, marriages back on track. To watch people grow in Christ, going deeper in their walk, drawing nearer unto Jesus—I'll take all of the difficulties if it means I can continue to have even a small part in all that. It's the biggest blessing and my joy to serve my husband and our congregation. I may have never seen myself in this role, but now I can't imagine myself doing anything else. Well, there you have it: a small preview into my journey from sitting in the pew with my husband, to sitting in the pew, alone, with my husband in the pulpit. Morgan Idleman, the wife of Pastor Shane Idleman, is a mother of five and blogger. She resides with her family in Southern California. This article originally appeared at morganidleman.com.